The six-week waiting time for universal credit must be cut as the idea that people have a nest egg to fall back on is "grotesquely ignorant", the Archbishop of York has said. Writing in The Sunday Times, Dr John Sentamu said ministers must take a "courageous" look at the benefit. Addressing the delay must be a priority, he said. The government said it was determined to ensure people would not face hardship. Changes recently announced to the system of advanced payments meant people could access these as soon as they got into the system, a spokesman said. Universal credit rolls six working-age benefits into a single payment. Since it began rolling out four years ago, almost a quarter of the 610,000 claimants receiving the benefit have had to wait for a month and a half for the first payment. Although Dr Sentamu praised the concept of a single welfare payment, he wrote that the current system "seems to assume that everyone has a nest egg that will tide them over as they wait a minimum of 42 days for payouts". "That assumption is grotesquely ignorant, because millions of people, especially those in need of support, are already in debt and have nothing to fall back on," he said. 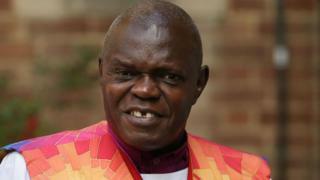 Dr Sentamu added that the UK's poorest were at risk of falling into a downward spiral of debt, with some taking out expensive loans to bridge the 42-day benefit gap, so that the repayment of loans or of interest "becomes the first call on any payment they receive". He wrote: "In the Bible, the hardest-pressed of all poor people were summarised as 'widows and orphans' for they were the group most at risk and with least support. "Our concern should be for their present-day successors whose essential outgoings are costing more and more and their incomes standing still or going down." 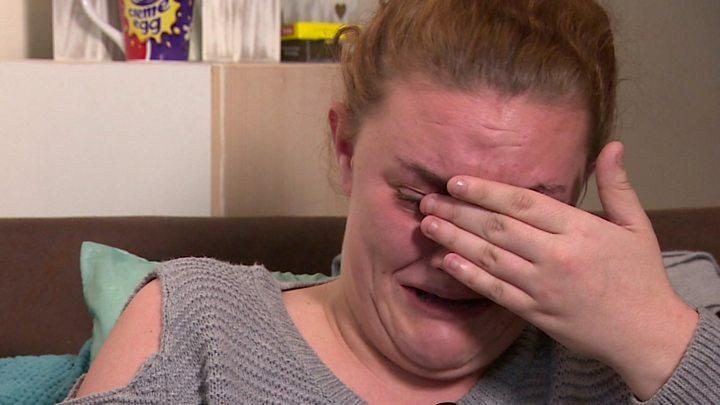 The Joseph Rowntree Foundation has warned that an additional 340,000 people will be in poverty by 2022 because of cuts implemented by former Chancellor George Osborne to the universal credit work allowance. The independent charity claimed that a lone parent working full-time on the national living wage will be £832 a year worse off because of the cut. The equivalent figure for couples with a single breadwinner working full-time is £468, it said. Last week, Prime Minister Theresa May agreed to scrap premium rate charges for phone calls to the universal credit helpline, which can be up to 55p a minute. However, she refused to pause the roll-out of the scheme despite a non-binding vote by the opposition backing the move. Tory MPs were ordered to abstain from voting. Stephen McPartland, a Conservative MP who threatened to rebel, told BBC Radio 4's Week at Westminster that he thought a resolution to the issue was close. He would like a reduction in the delay to four weeks and said: "I think the Secretary of State [David Gauke] has found it very difficult to justify inside the parliamentary party why they need to defend a six-week wait."